There is a huge difference between an 88 weighted key digital piano and a keyboard. Unfortunately, many of our students’ parents, who wanted to play piano in their childhood but could not afford lessons and who decide to enroll their children in piano class, start by buying a 61 or 76 key keyboard before meeting an instructor. They do not know that a keyboard is not a real instrument to play serious music on even if the music is played by a very beginner. Beginners deserve real instruments to fall in love with music! What’s wrong with a keyboard? 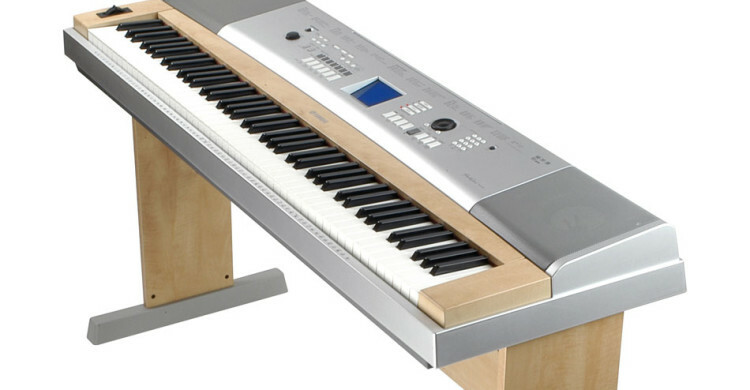 1) It has very light keys, unlike a real upright piano or a grand piano. It’s not possible to have a correct sensation touching the keys of a keyboard. 2) There is no chance to build any dynamics on a keyboard, as it is not touch- sensitive. No matter how hard the teacher will work on the dynamics in class, there is no way to have your child play expressively at home between lessons. 5) Keyboards don’t have a pedal to extend the length of a sound or have a very primitive substitute for it, which is useless. 6) Keyboards are very difficult to sell, as those who want to learn seriously, would rather buy a New Digital 88 Weighted Key Piano on Amazon.com. They also would consider buying a used upright piano after they’ve consulted a piano technician, who would tell them if the piano is tunable or not. Keep in mind that the piano is a pretty loud instrument, and, if you live in an apartment complex, it may be problematic to practice there, while your child has to practice daily at least for 45-60 minutes. The solution is simple: get a digital piano with 88 weighted keys and use a headset, sparing your family and neighbors from hearing your exercises. If you wanted to buy a keyboard and “see how it goes”, you’d better rent one of our school’s keyboards for two weeks free of charge and look for a real instrument, a digital piano, and upright piano, or a baby grand piano. Hopefully, your decision will be wise.